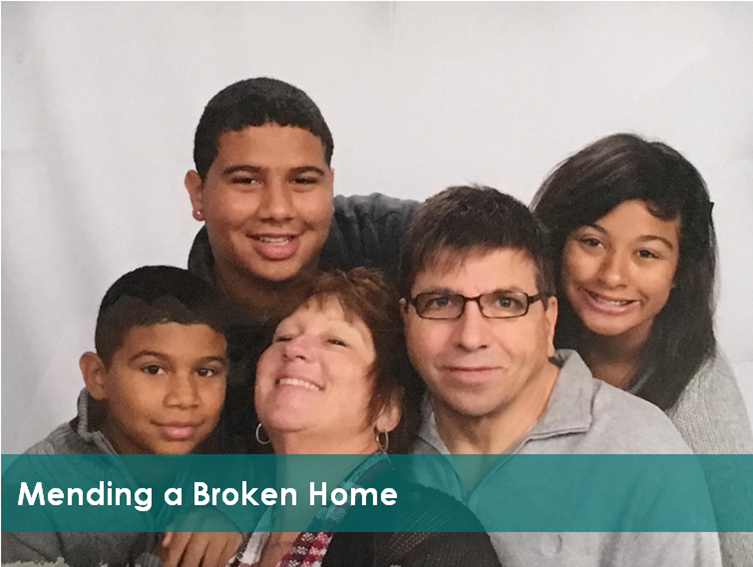 Mending a Broken Home | Highfields, Inc.
Violence is a learned behavior and often has its roots within the family constellation. One of our goals at Highfields is to provide programs that promote safety and teach families alternatives to violence. Thanks to your support, we can provide these programs to families in the community that need help. Susan carries a heavy burden. She and her husband adopted her daughter’s three children eight years ago: Maurice, Marissa, and Marcell. Their father was verbally and physically abusive towards the family. Their mother struggled with drug addiction and lost the rights to her children. That’s when Susan stepped in to take care of her grandchildren. She provided a stable home environment for the kids to grow up in, and focused on putting them on the right path in life. Unfortunately, taking care of at-risk teenagers has been challenging for Susan. Maurice, age 19, was sent to teen court four years ago. He was expelled from school multiple times for acting out, disobeying authority and doing drugs. The court recommended Susan to Highfields’ Youth and Family Alternatives to Violence program (YFA). The objective of YFA is to promote safety and minimize risk of further violence and help families learn and practice healthy alternatives to violent exchanges. Highfields’ YFA counselor Randall Hester was assigned to Maurice’s case, and quickly became an essential part of the family. Over the past four years, Hester taught Maurice non-violent methods to solve problems, how to express frustrations, resolve conflict and interact more effectively. Hester conducted therapy sessions with the whole family, and would sometimes include Maurice’s siblings in group meetings. “Maurice’s attitude and aggressive behavior have diminished since we started working with Highfields,” said Susan. After Hester closed Maurice’s case, Marcell, age 15, began exhibiting troubling behaviors. He has mental health issues and is diagnosed with ADHD. He was acting out, skipping school, and was caught stealing. Hester was asked by the Juvenile Court officer if he would be willing to continue working with the family and help Marcell. Hester opened a new YFA case with Marcell and worked with him for one year to help him find healthy solutions to his problems. He helped Marcell integrate into the community by taking him to basketball games, doing community service at his church, and he helped him get on an alternative football team. Susan is grateful for the tools her family has learned through working with Highfields such as positive incentives, effective communication, and coping skills. Susan believes that Marcell still has a lot of growing up to do, but is hopeful that he will follow in the footsteps of his older brother and use the tools that Hester taught him.